We’re close to grid parity — the point where solar power is cheaper than mains. But the price of solar panels is enough to put some people off experimenting. If you just want to put some solar lights and a netbook in the poolhouse, you may not want to drop a couple of hundred bucks on a commercial panel. Well, how about building your own? This is less tricky than it sounds. You won’t need to make your own silicon crystals, or anything like that. All you need is basic carpentry skills and a bit of wiring. You know how kids draw solar panels, each one covered with little rectangles? Those rectangles are individual solar cells. 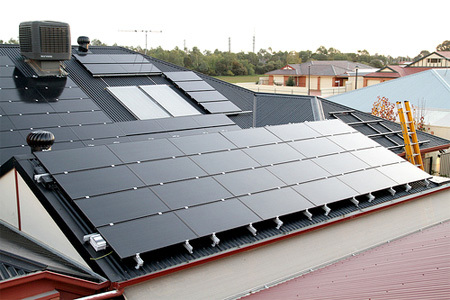 The solar cells, which do the business of actually generating power from sunlight, are self-contained units. Think of them as Lego bricks, all ready to build up into complete panels. A panel maker may not even bother to make their own cells, finding it cheaper and more convenient to source from a component supplier. Now, a commercial panel needs to look good, so a panel maker will make sure that all the cells are the same size and shape. But there’s no reason for you to do that! You can buy up a bunch of cheap cells, including misshapes and blemished seconds, and hook them up to make a functioning ‘Frankenstein’ panel. For more information, see how you can find solar cells for sale. ‘Second’ cells are available from eBay and online stores like Electronics Goldmine. But the best possible source for a backyard hotrodder is damaged panels. Keep your eyes peeled for junked panels, either in suburban dumpsters or outside your local DIY centre. Once you’ve got your cells, all you need to do is attach them to a suitable backing, wire them in series, and source a glass panel to keep them all in place. Well, it’s not quite that easy, but Mike Davis has some helpful instructions (with photos) that will get you through. 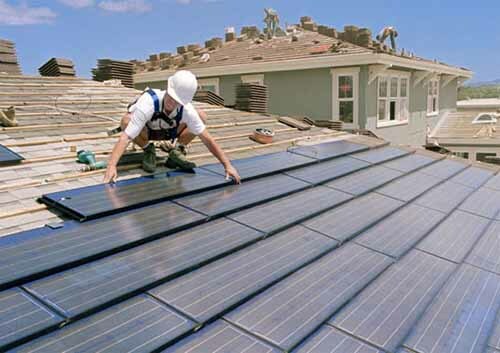 See more detailed information on how to build your own solar panels.